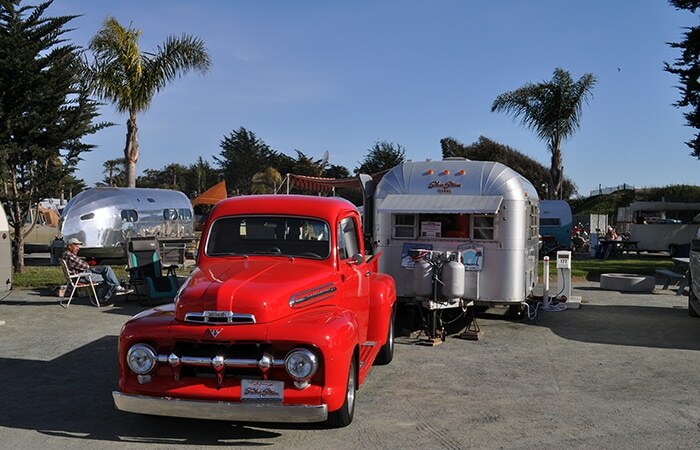 Vintage Trailer Rally brings the past to life in Pismo Beach. 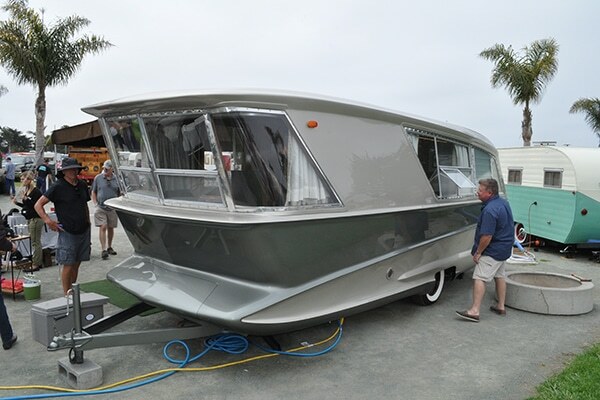 Owners of more than 300 vintage RVs gathered at Pismo Coast Village RV Resort on May 19 for the 11th annual Vintage Trailer Rally, the largest event of its kind in the country. 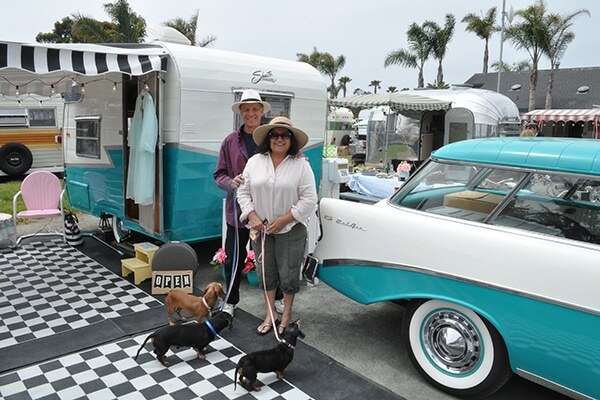 RV owners from across the country proudly showed off their finely restored units, including Alice and John O’Hare of Valencia, California, who came to the show with tropical blue and white 1956 Chevrolet Bel Air and a matching 1961 Shasta Compact travel trailer. “We got the car first,” Alice O’Hare explained. But after purchasing the classic car about six years ago, she and her husband thought it would be fun to find a classic trailer and fix it up to match the car. “Thousands of dollars later, here we are!” Alice said with a laugh, adding that they typically camp in rallies. Across the U.S. and around the world, growing numbers of classic car enthusiasts are falling in love with the idea of fixing up vintage trailers they can tow behind their classic vehicles, said Steve Hingtgen, president of Montpelier, Vermont-based Vintage Trailer Supply, one of several vintage RV specialists who attended Saturday’s event. Many of the vintage RV owners attending Saturday’s rally also had classic cars. 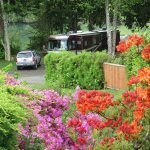 However, the primary focus of the event were the classic RVs, including four Bowlus “Road Chief” travel trailers dating back to the 1930s. The rally also featured a 1961 Holiday House Geographic that has been restored by Justin and Anna Scribner of Flyte Camp, a Bend, Oregon, company that specializes in the restoration and sale of vintage RVs. Anna Scribner said there are only two of the 1961 Holiday House Geographic trailers in existence. The Scribners, who are regularly featured on YouTube, said they planned to sell their restored unit for $250,000. Other historic RVs on display included travel trailers with names like Boles Aero, Shasta, Silver Streak, Vagabond and Westcraft. 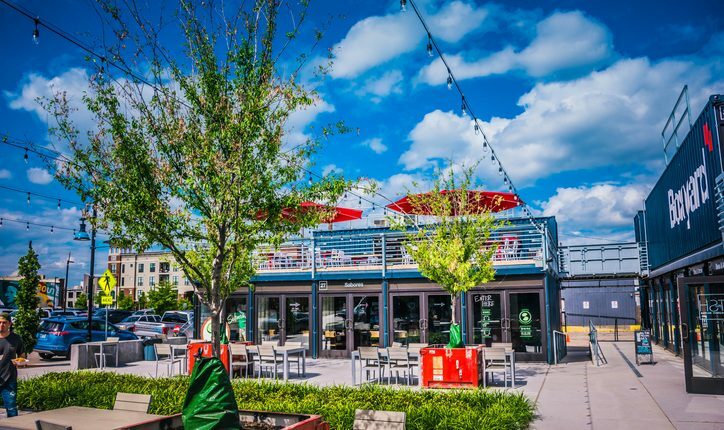 All of the units were decorated inside and out in vintage décor as the owners celebrate trailers built between 1930 and 1979. 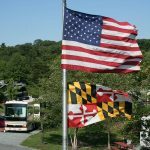 While the event was open to the public, rally participants also organized their own private activities, including a pancake breakfast, a “Trailer Trash” Bash Potluck, and pajama bicycle ride around the resort. Pismo Coast Village RV Resort is a premier 400-site full service resort located on the beach in Pismo Beach. It is within walking distance from shopping, restaurants, and the Pismo Pier. Located halfway between Los Angeles and San Francisco, Pismo Coast Village is often used as a base camp for travelers visiting nearby attractions such as Hearst Castle, Morro Bay, San Luis Obispo, the Oceano Dunes, and the wineries of the Santa Ynez Valley and Paso Robles area. Jeff Crider is an award-winning journalist, a bilingual publicist and history book writer.